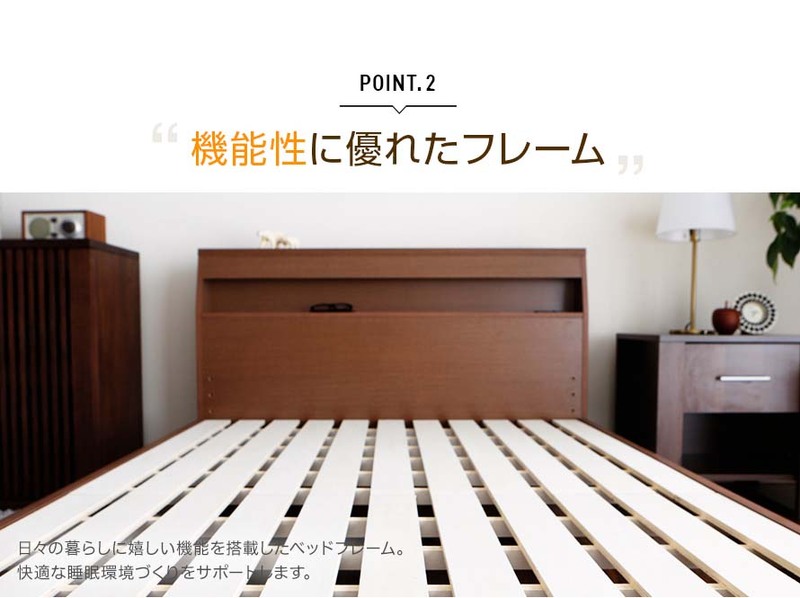 I understand that this is a Japan Sized Bed and will fit best with a Japanese Size Mattress. 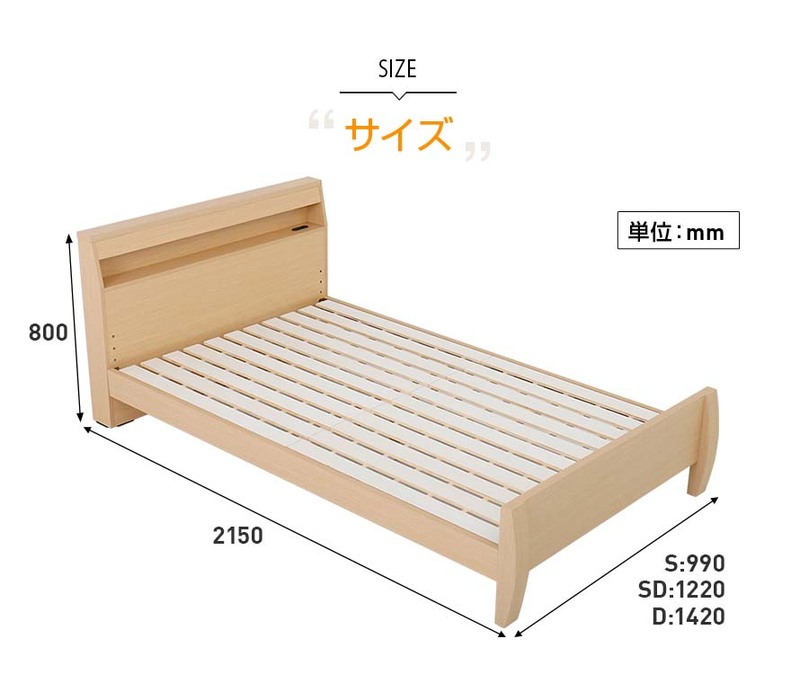 I understand that this bed is designed for Japan usage and is an export set. The pins provided will be the approved pins used in Japan. 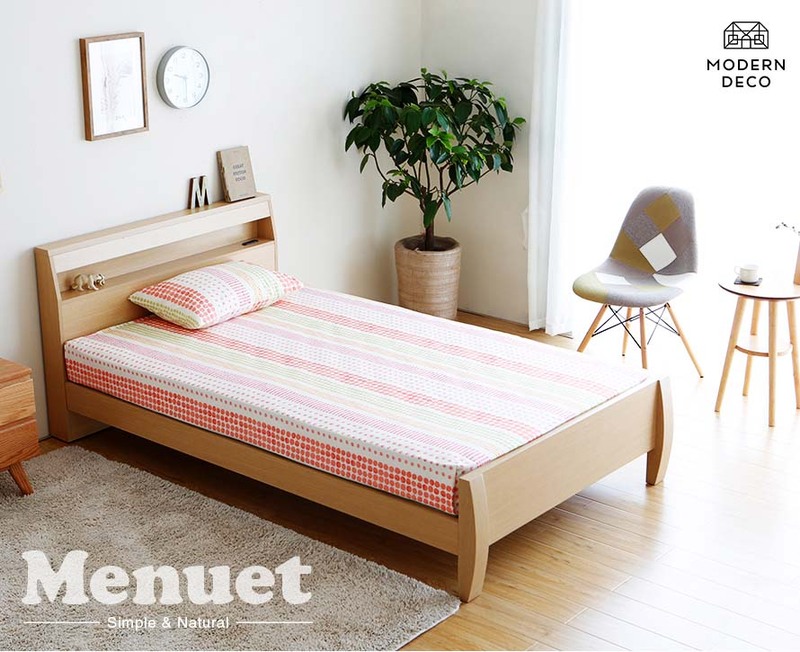 The Menuet Wooden Bed Frame may look simple, but it is carefully designed to be packed with little features. 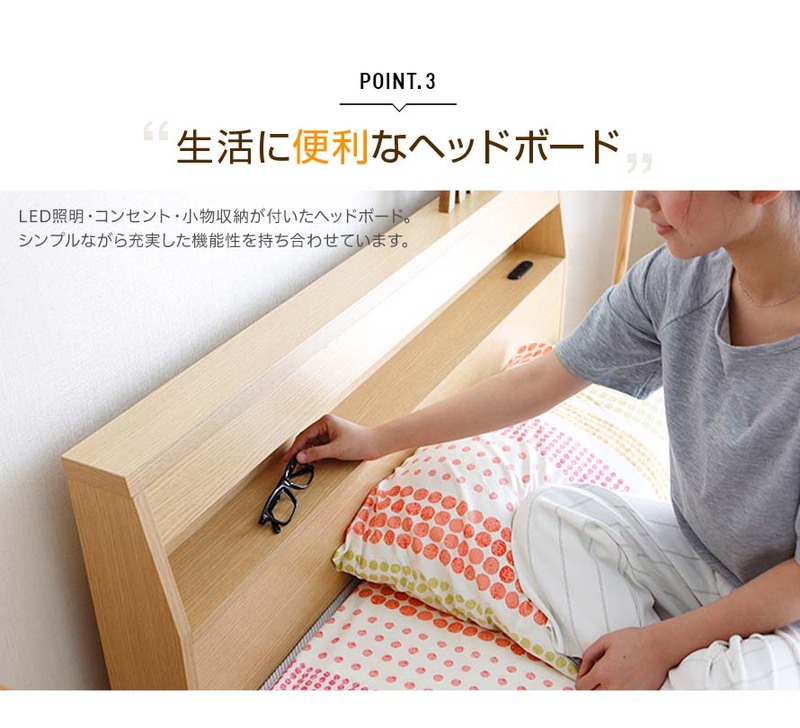 The headboard comes with shelf space for your trinkets and a power socket for your mobile devices. 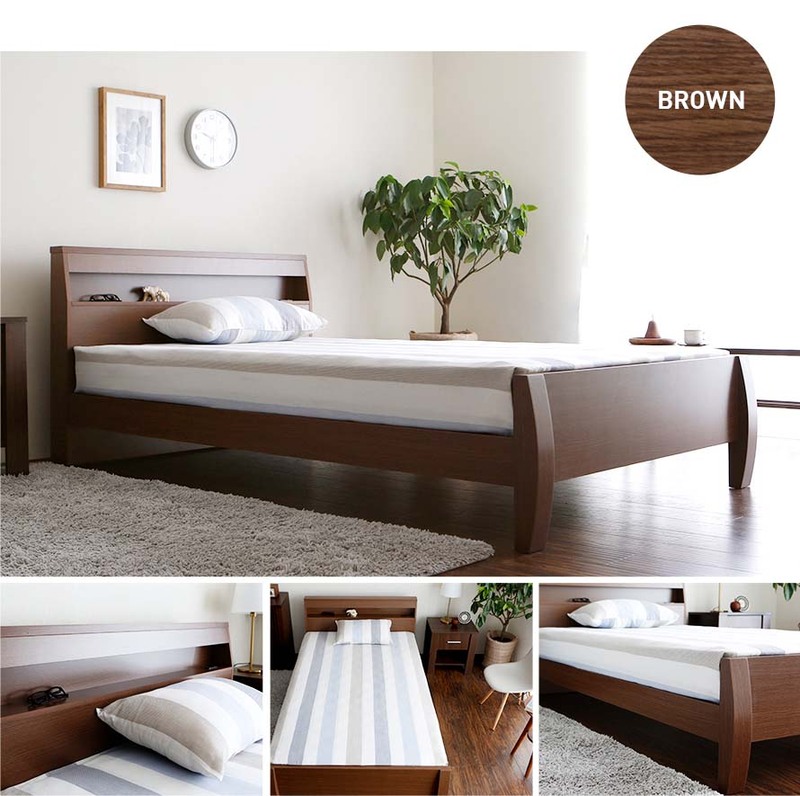 The height of the base is adjustable - A high configuration for storage space beneath, or a low configuration to conceal the front of your mattress. 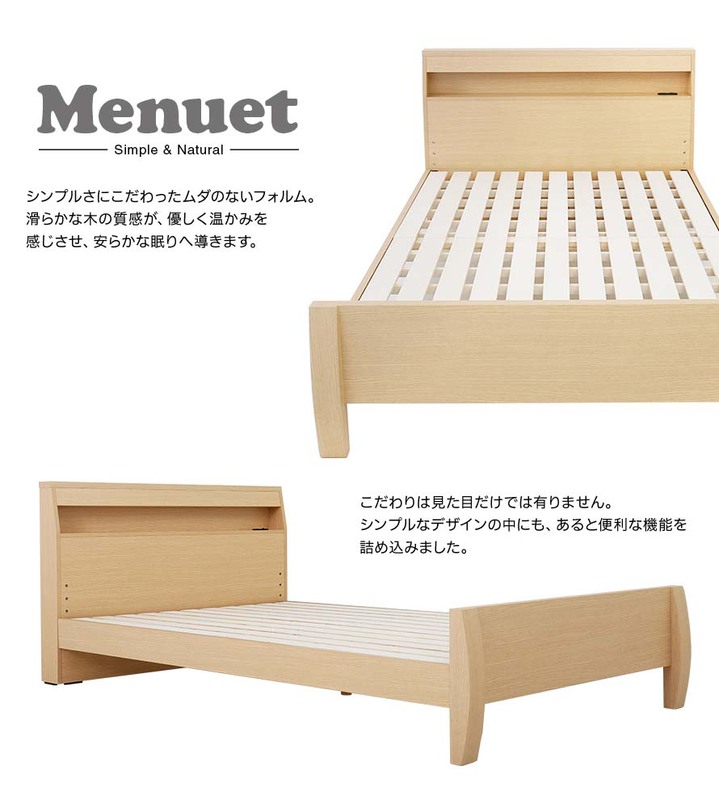 We love its Zen-like elegance. 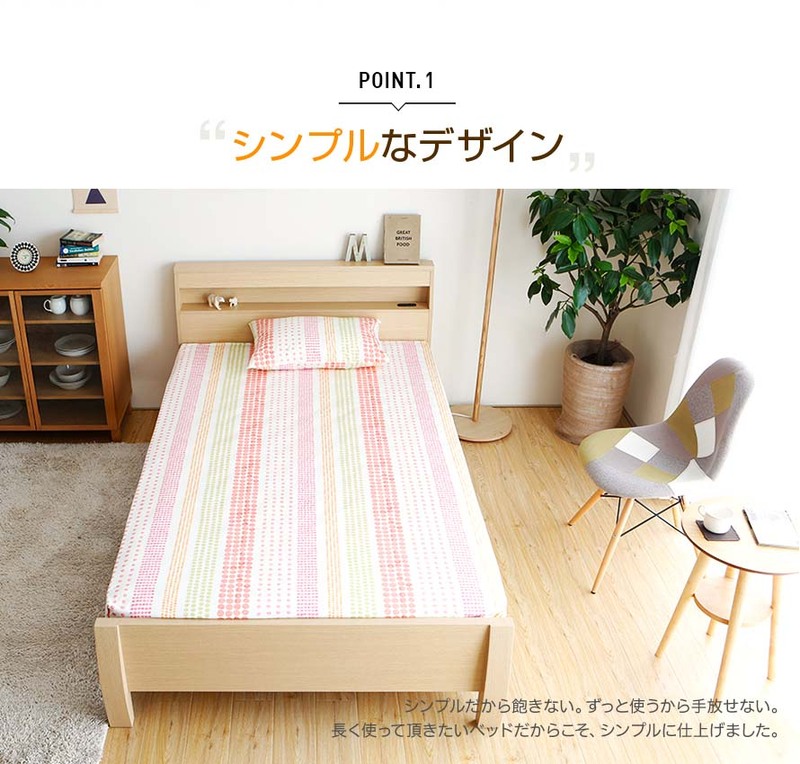 The overall design is simple but that's actually part of what I like about it. 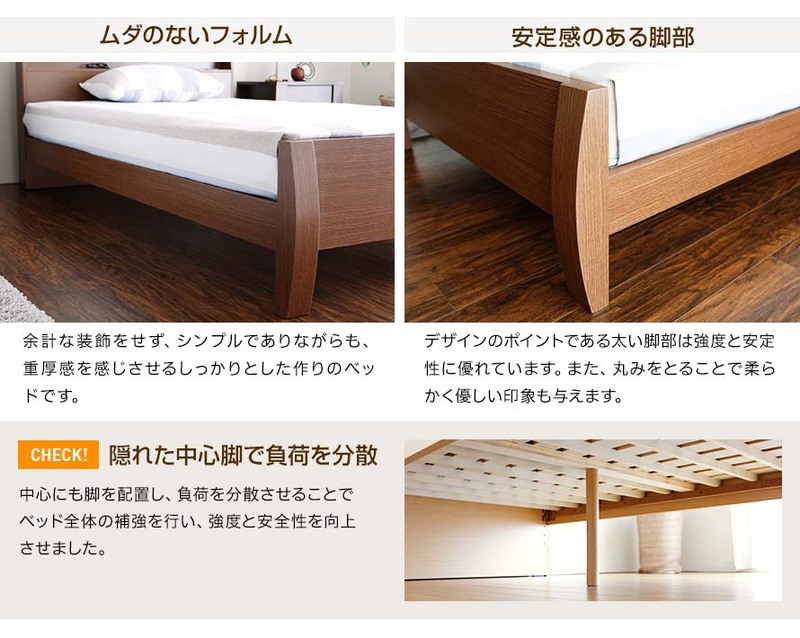 All the little details are also much appreciated e.g. 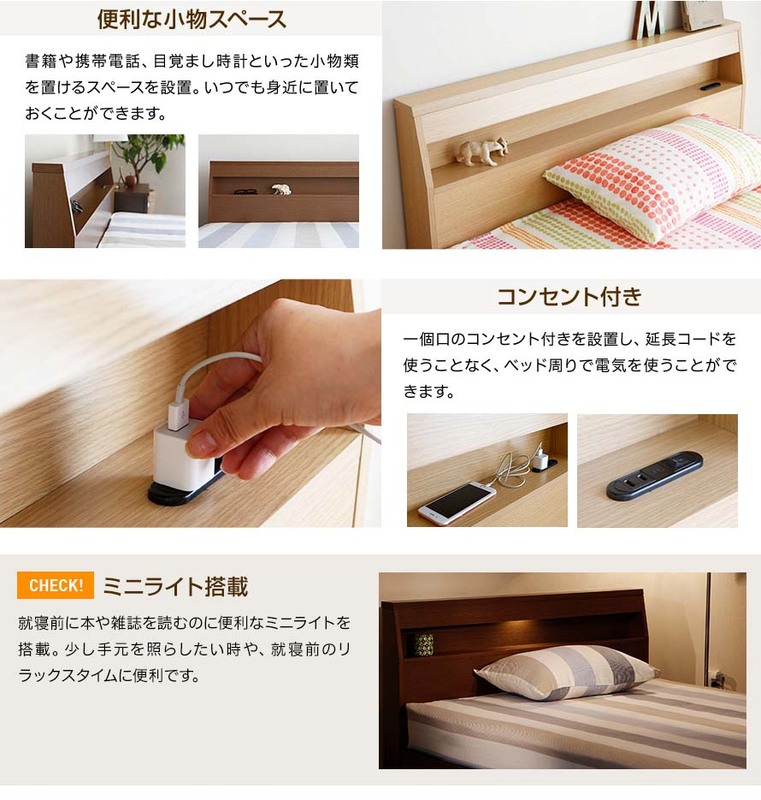 the adjustable height, the additional space to place small items on the headboard, the space to charge your phone. 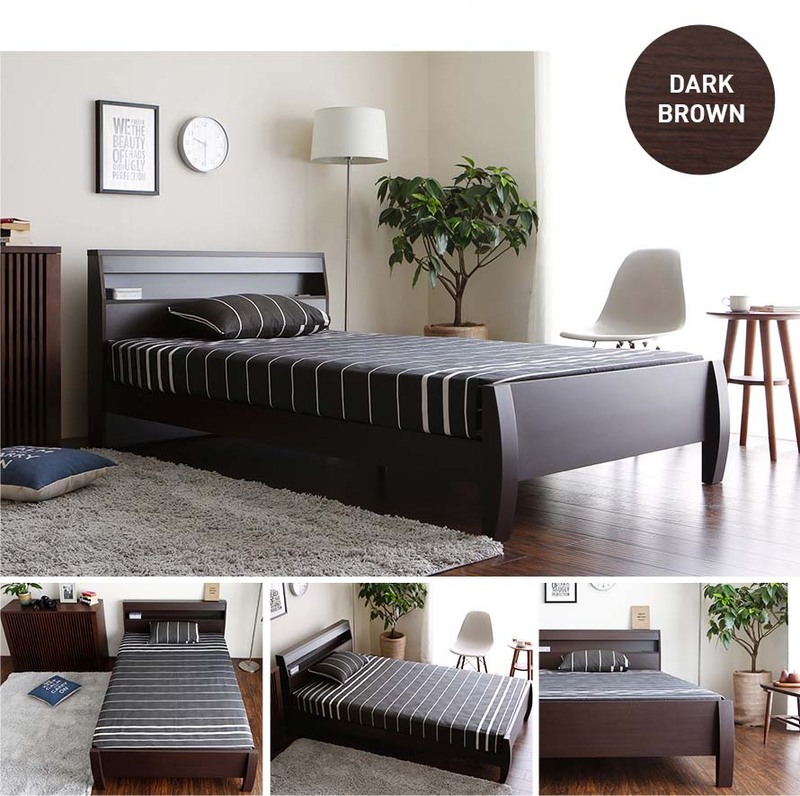 Thumbs up for the service as well, went down to the showroom and all my questions were answered satisfactorily. As describe in the description! 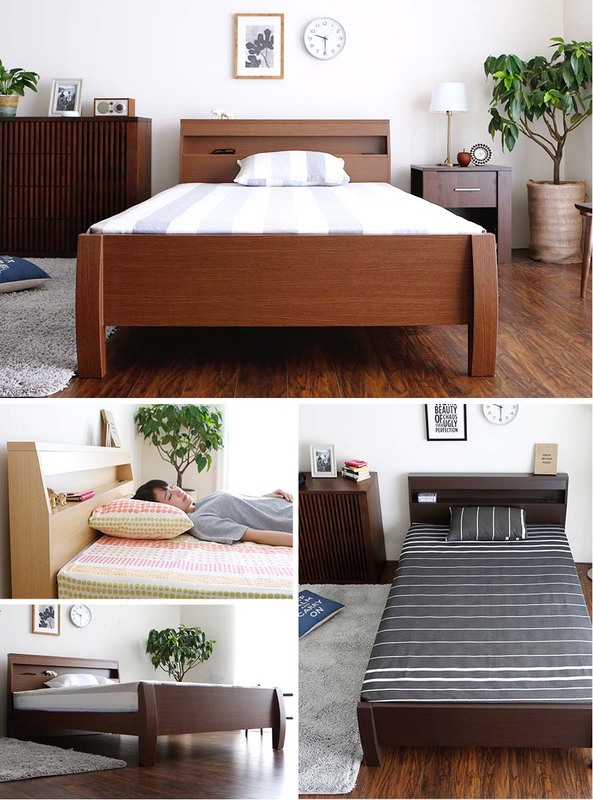 Simple and good looking bed at a fair price. Love the new look in my bedroom! 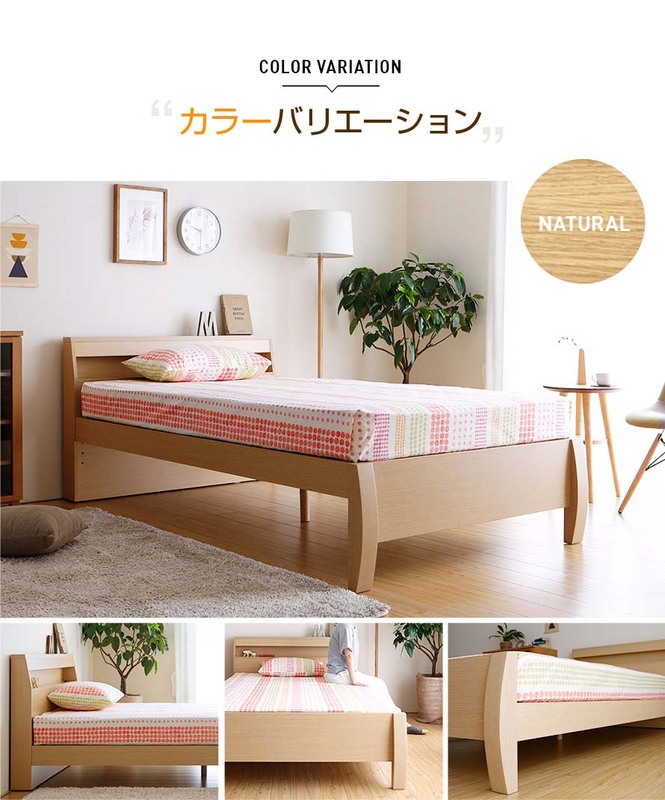 Very beautiful bed. 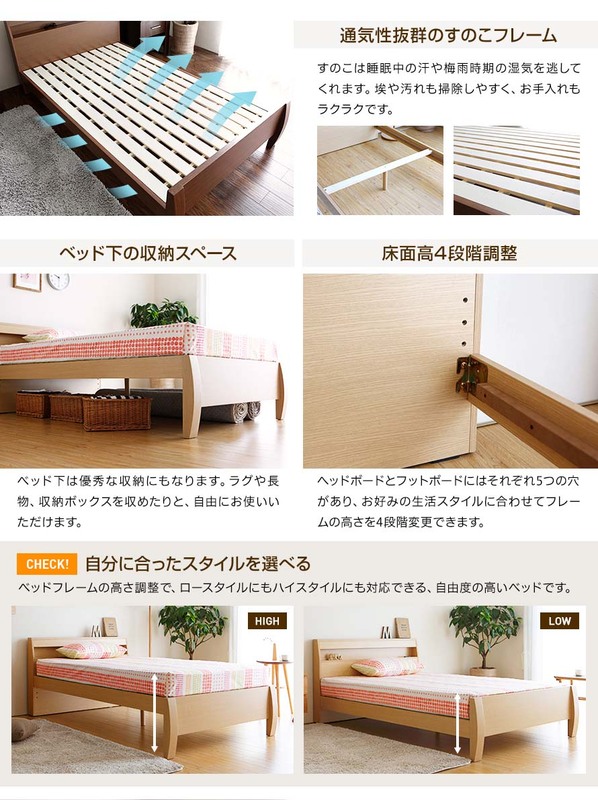 I simply love the style and how the height of the bed is adjustable. Delivery men were helpful and assisted to my request. 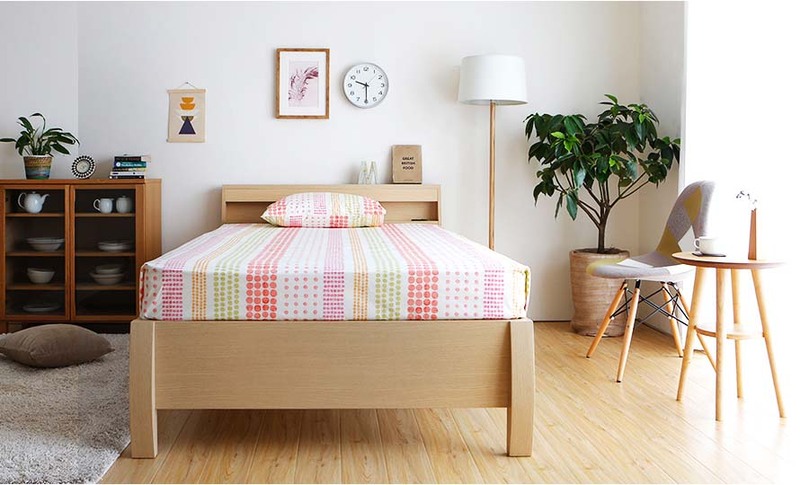 Bigger & simple design that fits the rest of furniture in my bedroom. 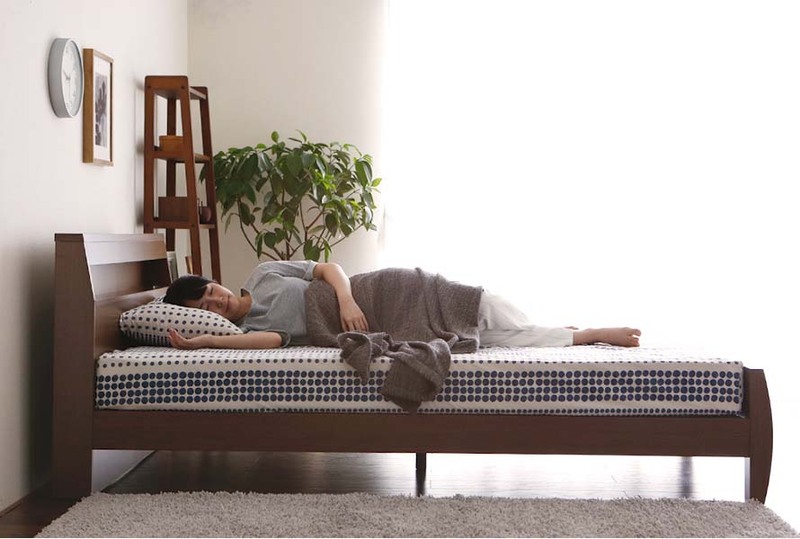 Overall sturdy material and adjustable heights (3) to suite the mattress thickness.